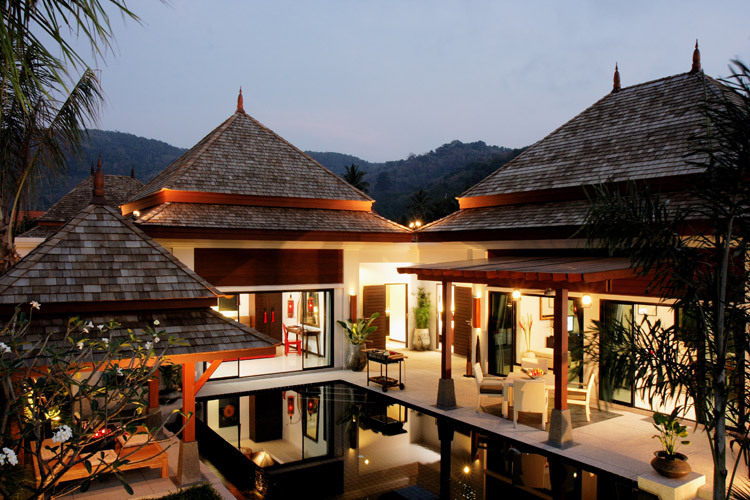 The Bell is a boutique residential development comprising just 17 luxury pool villas located at the foot of Kamala hills in Phuket. 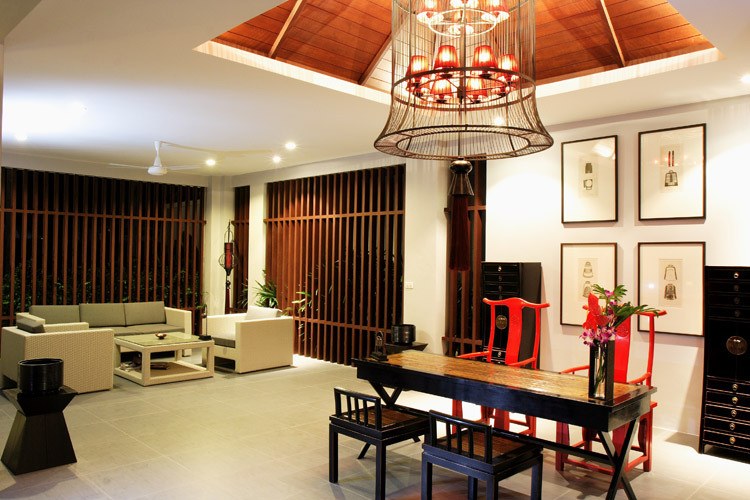 The prime residential location was carefully chosen by luxury property developers Asia Orchid Group for its peaceful setting and the seclusion it offers home owners. 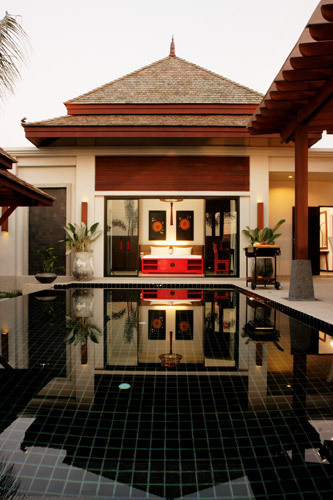 The single-storey pool villas are designed with Eastern traditions in mind, allowing residents to make the most of the island?s tropical environment; they are spacious and open to the elements while still providing privacy and seclusion. The strategic L-shaped layout of the villas gives sweeping hillside views from within yet allows those at home to remain secluded from the outside world. 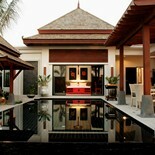 The open-air pool deck with an 8.5-meter-long pool is the center piece of each of the modern oriental-style villas. The bedrooms, dining and living areas encompass the ?courtyard? and garden area through broad, sliding glass doors. 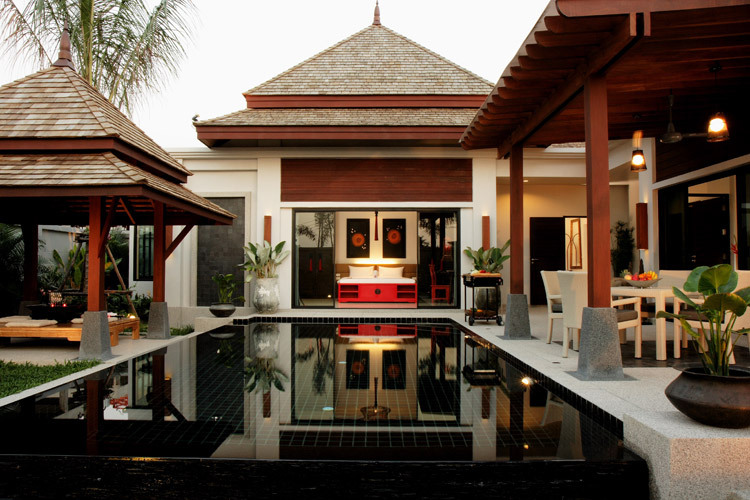 Parts of the expansive pool-deck are shaded by solid wood awnings, making it ideal for keeping cool while lounging around outside, and setting up barbecues by the pool. 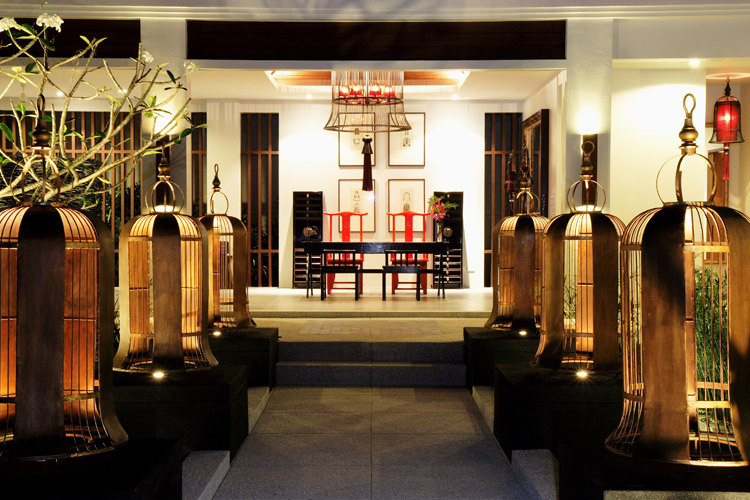 The temple bell theme is consistent throughout the development, reminiscent of a traditional village, in which a bell would play a central role in the community?s easy-going way of life. The ?bell? 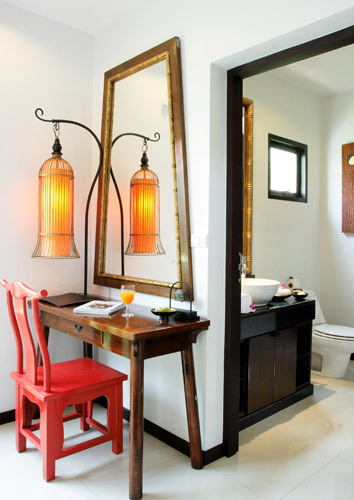 form and other traditional Asian elements are embodied in the resort-like surroundings, large and small, inside and out. 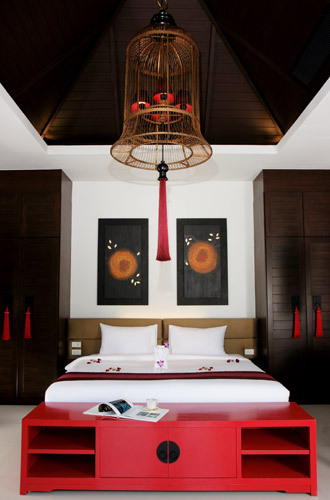 The villas are fully furnished with a refreshingly unique contemporary twist on traditional eastern style. Every piece of furniture, fixture and fitting was exclusively designed specifically for The Bell to maintain a showhome-style theme throughout. 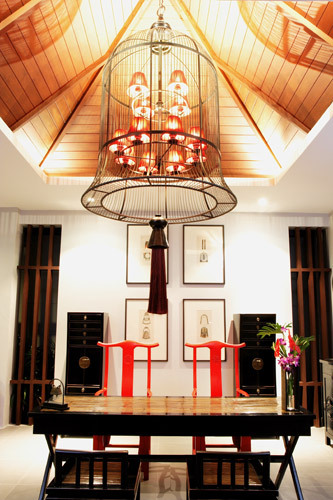 The high-ceiling rooms are stylishly fitted with built-in and stand-alone furniture, the interior design faithfully following The Bell?s modern oriental theme, right down to the minutest detail. 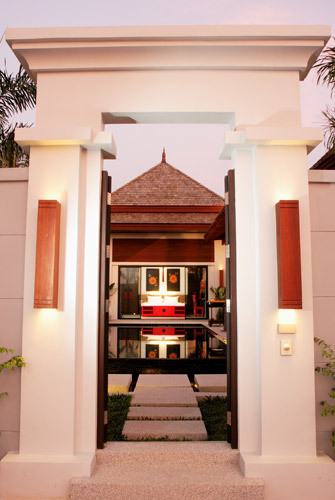 The high surrounding walls with tall, narrow gateways into the villas are like those of sturdy temples and fortresses of old. The villas are constructed to the highest international standards and range in size from two- to four-bedroom homes with as many en-suite bathrooms. Each villa is set on a 430-square-meter plot; each of the three-bedroom villas has a total living space area of 255 square meters.